Pinterest is a fast growing social networking site to share beautiful photos and amazing videos to others. You can also follow other pinboards to see the beautiful images and videos. Usually if you want pin any images to pinterst first go to and login to your pinterest account and seled add button and upload your images then only you pin it. Here below 5 chrome extension reduce this unnecessary time wastage. 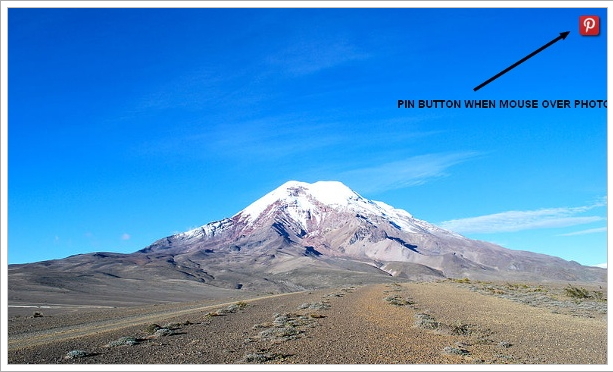 you can pin images any where on the web. This extension offers easiest way to share images on Pinterest. First you installed this extension to your computer then A pinterest button appears when you move your mouse over image on the web. 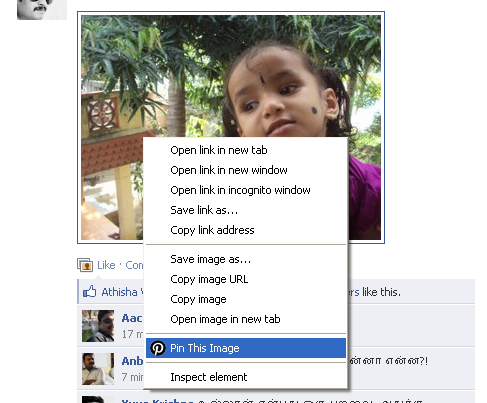 Simply click on the icon and share it in your Pin board. It's really simple to use. Just Right click on any image in any where on the web then click "Pin this image" option next if you want, you can add a description, or leave it off... then Submit it! that's all image will published on your pinboard. It is very simple and useful online tool to pin quickly from any where on the web. No pop up window will show by using this extension. 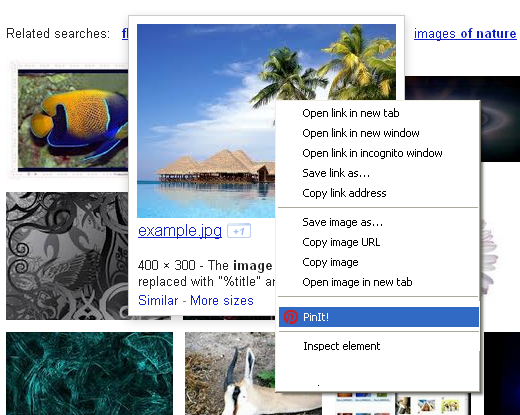 Just Right click on an any image, then select Pin images to option and it shows your pinboards select your pin board that's all you're done. The same method just Right click on images and pin it. You can set default description to images. and Keyboard shortcut feature will comming soon. Easiest and fastest way to pin image to Pinterest.com. The method is same as above extensions. If you like this post please share with your friends on below social network sites.